It’s been an exciting few weeks at Avant PR HQ, as our hard work was acknowledged with a pair of awards from the Chartered Institute of Public Relations (CIPR) and the Fresh Awards. 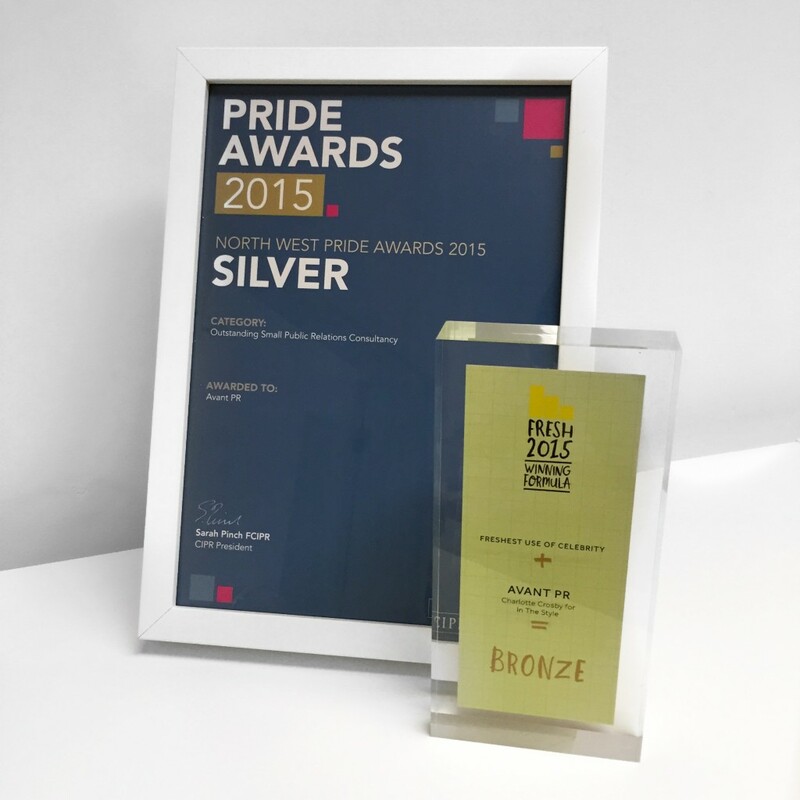 At an exciting event at Manchester’s Midland hotel for the CIPR’s Pride NW Awards, we were awarded silver for Outstanding Small Public Relations Consultancy, beating off a host of impressive competition. Recognised as the most credible regional awards in the PR industry and judged by experts from the top of their fields, the Pride Awards are a ‘celebration of exceptional talent and a reflection of public relations best practice’, so we were over the moon to be recognised by the judging panel and industry body! Just weeks before, we attended the Fresh Awards, at which we were honoured in the Freshest Use of Celebrity category, for our work with Geordie Shore’s Charlotte Crosby and fashion client In The Style. We had a fantastic evening at both events and were happy to take home the two awards, which will now join our coverage wall of fame in our Northern Quarter office. Hopefully there’ll be more to add when awards season rolls around again next year!